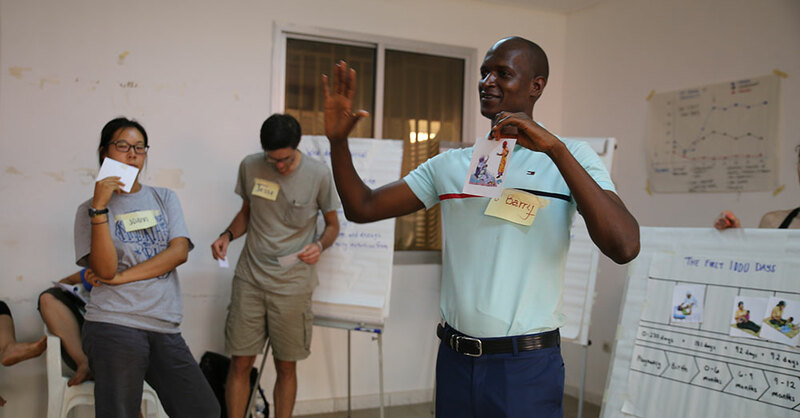 During a four-day training, SPRING/Guinea worked with Peace Corps health and agroforestry volunteers to strengthen their maternal, infant, and young child nutrition (MIYCN) and nutrition-sensitive agriculture knowledge. 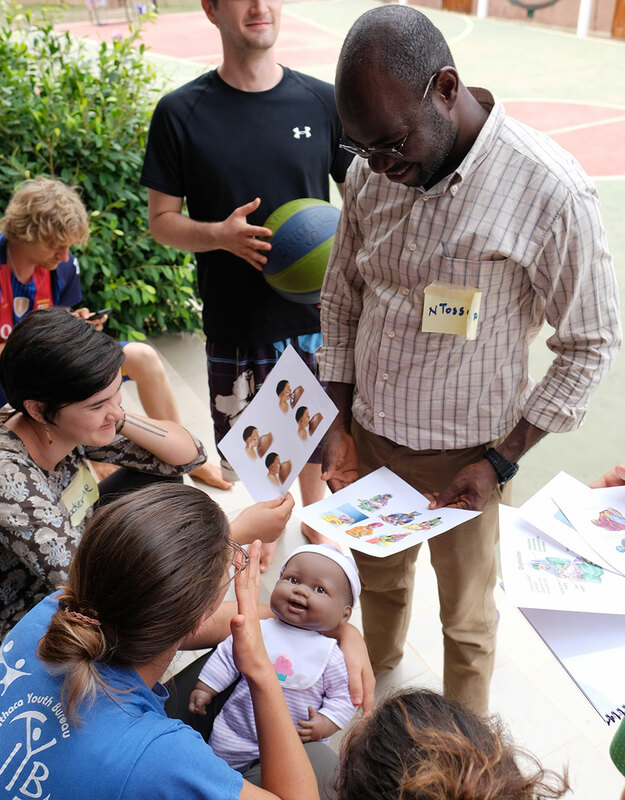 The photos illustrate how participants explored the importance of the first 1000 days, breaking the cycle of malnutrition, the connection between agriculture and nutrition, and their roles as agents of change in their communities. These volunteers will be able to use this knowledge to promote improved MIYCN and nutrition-sensitive agriculture practices in their communities across Guinea. 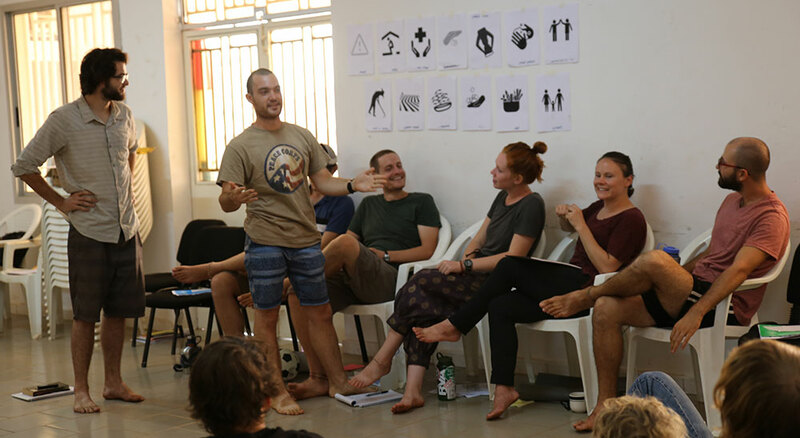 Peace Corps volunteer, Ethan, shares his group’s discussion on the importance of a phase within the first 1000 days. 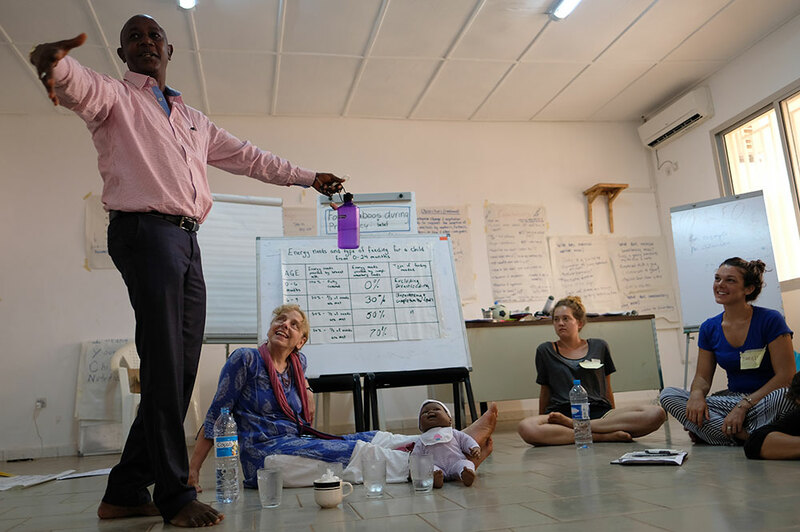 Peace Corps trainer, Barry, explains his group’s discussion on the importance of a phase within the first 1000 days. 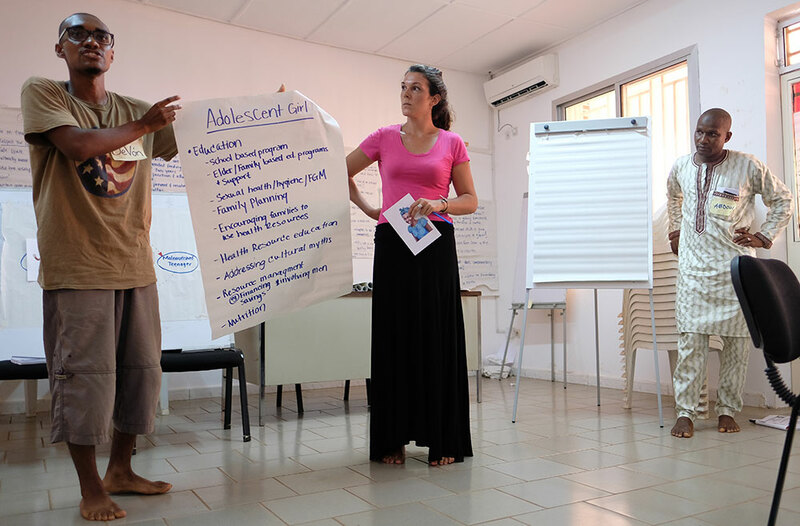 Peace Corps volunteers, Danielle and DeVon, share their group’s work on how to break the cycle of malnutrition during the stage of adolescence. Participants discuss photos depicting proper latching during breastfeeding. 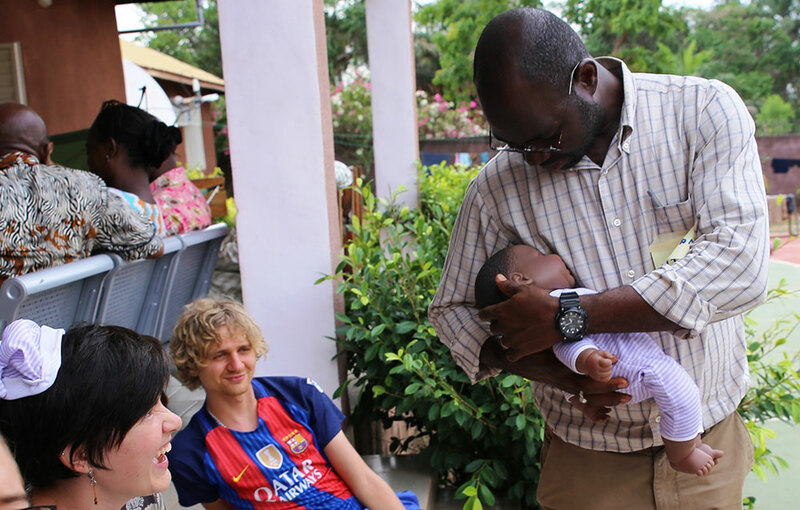 Peggy Koniz-Booher, SPRING SBCC Senior Advisor, guides the demonstration of proper breastfeeding with Peace Corps volunteer, George. A group works together to practice proper breastfeeding techniques. 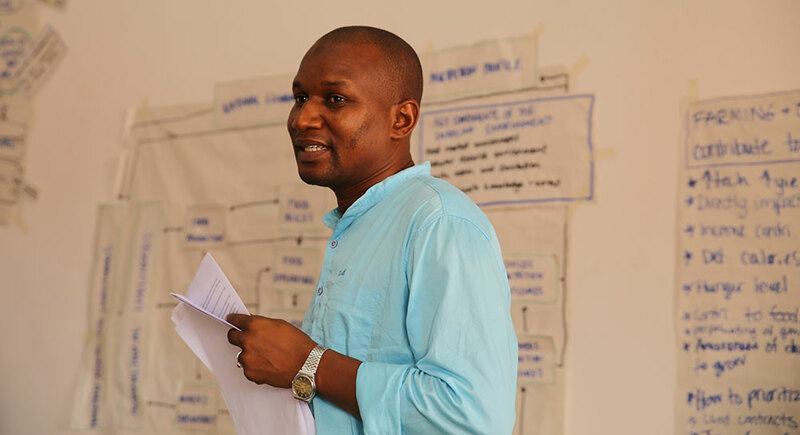 Ousmane Diallo, Peace Corps Guinea Deputy Director of Programming and Training, discusses the importance of complementary foods. Peace Corps Guinea agroforestry volunteers work together to illustrate the connection between agriculture and nutrition using icons. 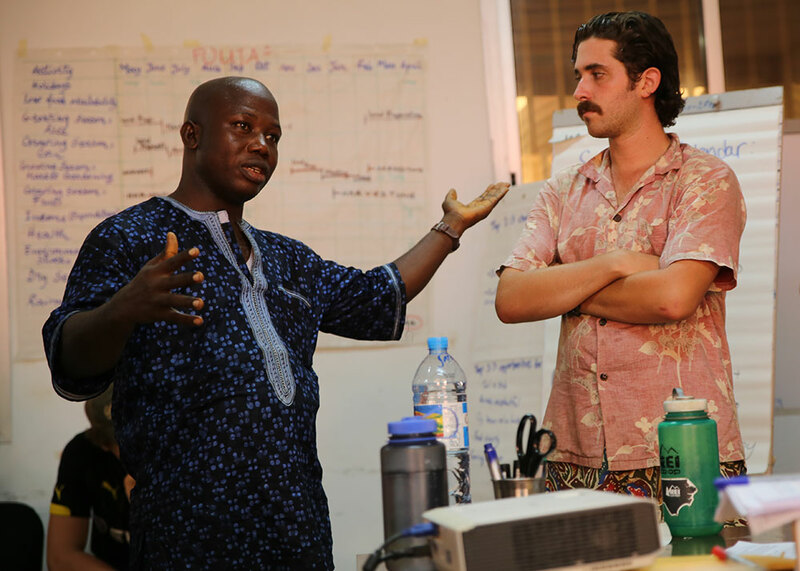 Peace Corps Guinea agroforestry volunteers, Alex and Eric, present their group’s “story” connecting agriculture and nutrition. 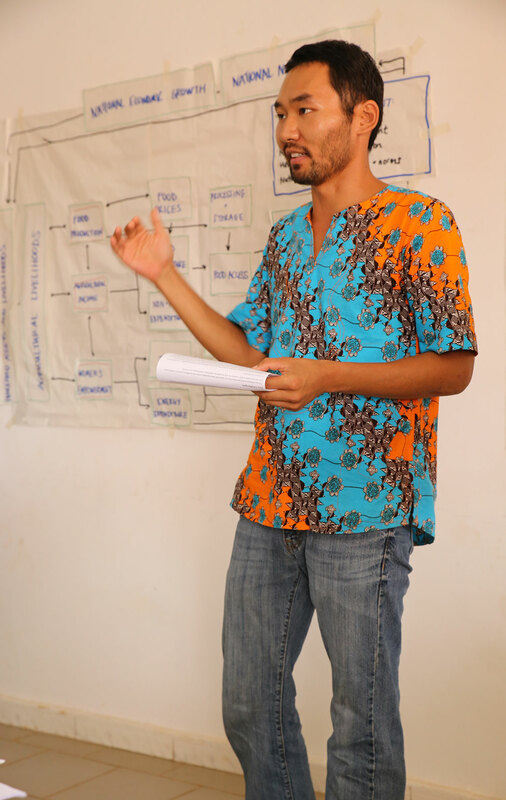 SPRING consultant, Abdoul, introduces an activity related to the SPRING nutrition assessment. 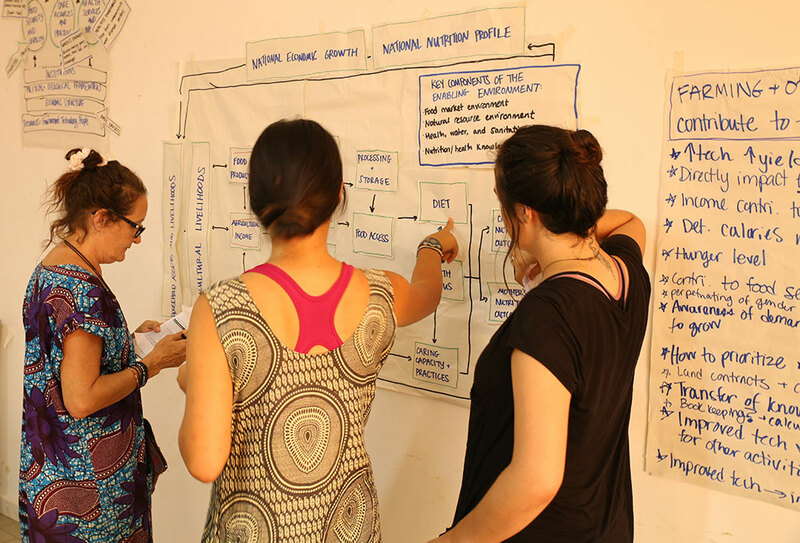 Participants examine the agriculture to nutrition pathways together. 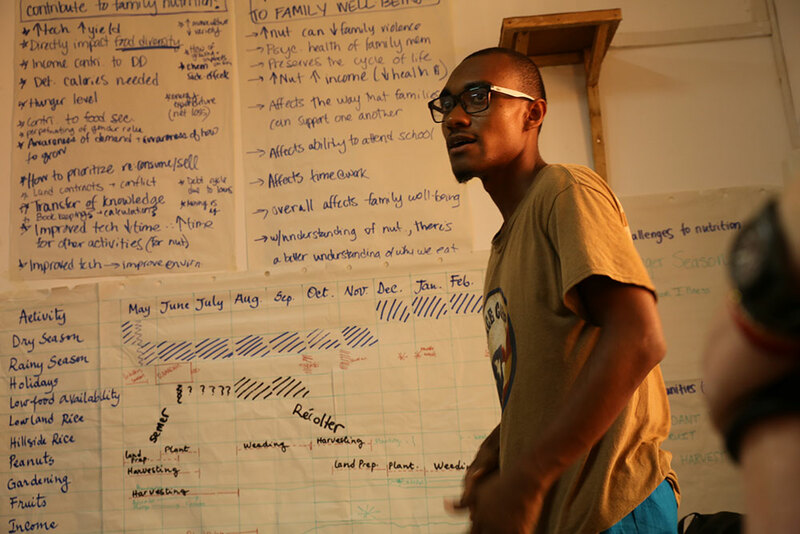 Peace Corps volunteer, Justin, shares his group’s work and connects his group’s section of the nutrition assessment to the agriculture to nutrition pathways. 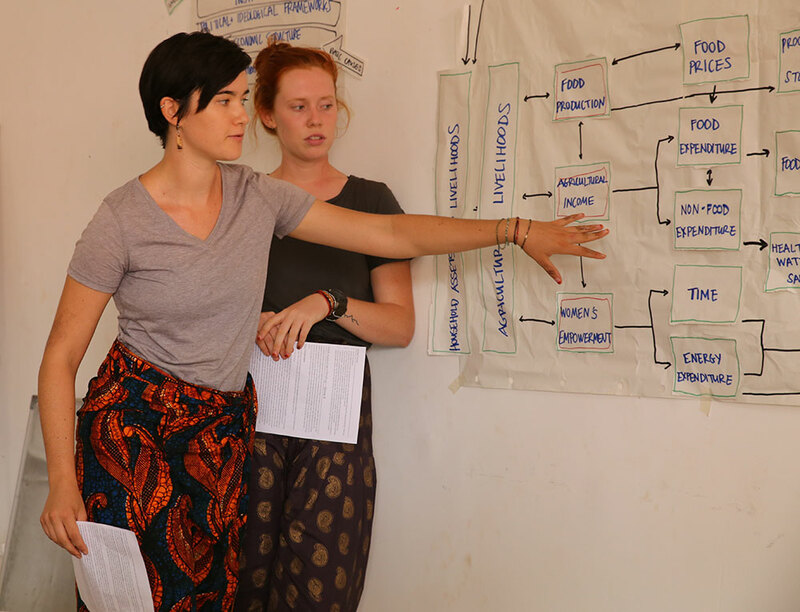 Peace Corps volunteers, Mackenzie and Lucy, explain how their group’s section of the SPRING Guinea Nutrition Assessment relates to the pathways connecting agriculture and nutrition. SPRING consultant, Abdoul, explains the seasonal calendar exercise. 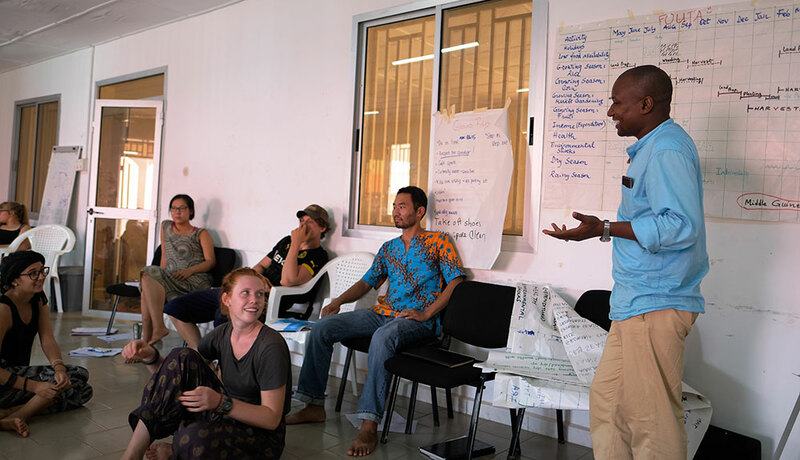 Peace Corps volunteers Alex, Lowell, and Eric, present their work identifying challenges and opportunities to nutrition throughout the year in the Fouta area of Guinea. 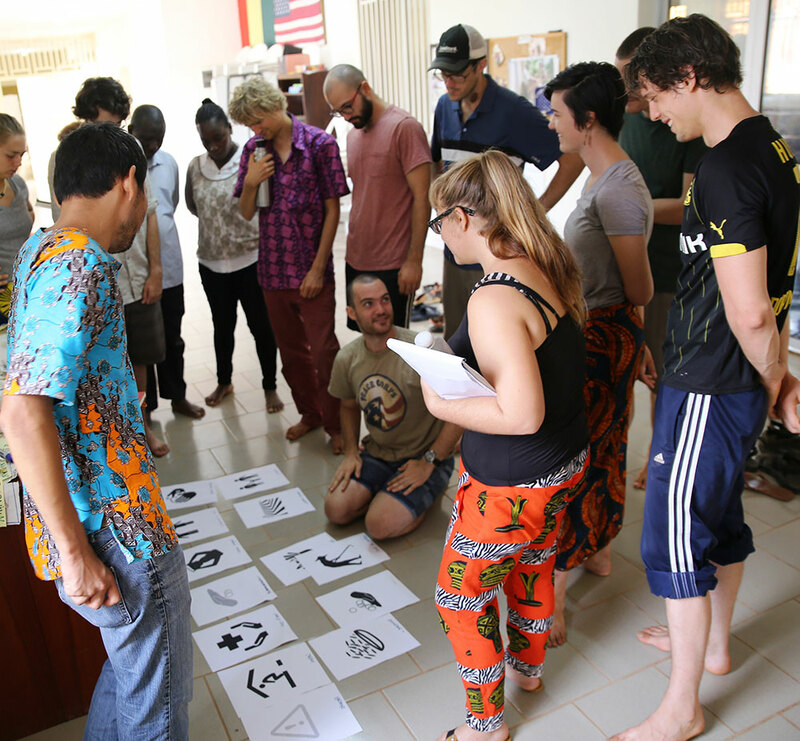 Peace Corps volunteer, DeVon, presents his group’s seasonal calendar. Peace Corps volunteer trainer, Fofana, discusses challenges to nutrition throughout the year as shown by seasonal calendars for Guinea. 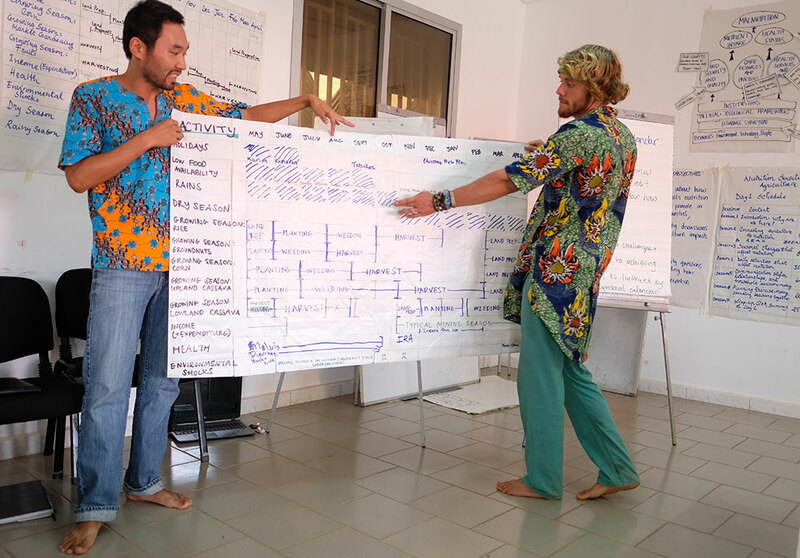 Two participants, Peace Corps volunteers Justin and Ethan, share their group’s work on completing a seasonal calendar. Two participants, Peace Corps volunteers, Lucy and George, share their group’s work identifying labor roles within the rice value chain. 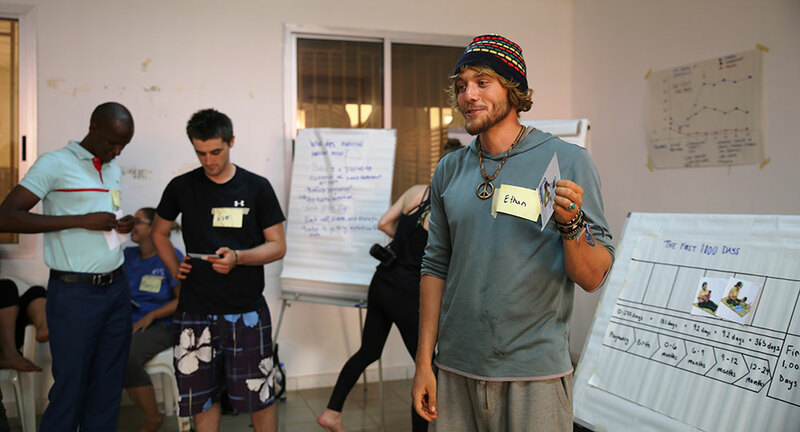 The Peace Corps Guinea training group.